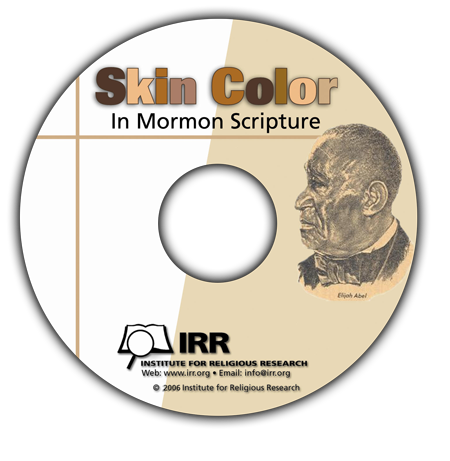 This in-depth report compiled by the Institute for Religious Research documents the LDS Church's history on the subject of skin color. IRR has the privilege of having a letter by an LDS apostle that outlines the reasons and the process that permitted blacks to hold the priesthood here in our files, and we've include a scan of this letter on this CD. The topic of blacks and the priesthood has been a controversial topic for decades, and even after Spencer W. Kimball's revelation that people of color could hold the priesthood, Mormon scripture still contains passages that teach the moral and spiritual inferiority of dark-skinned people. This report compiles all of these instances, and includes scans of the documents in which these instances are contained for the readers to see the context for themselves. The detailed appendices contain scans of the Book of Mormon and various LDS teaching manuals, along with the letter containing discourse with an LDS apostle on the subject, with the significant quotes highlighted for ease of use.